Mt. Pleasant cemetery is the final resting place of about 168,000 people. A small percentage of those are interred within mausoleums, some of which are fancier than others. 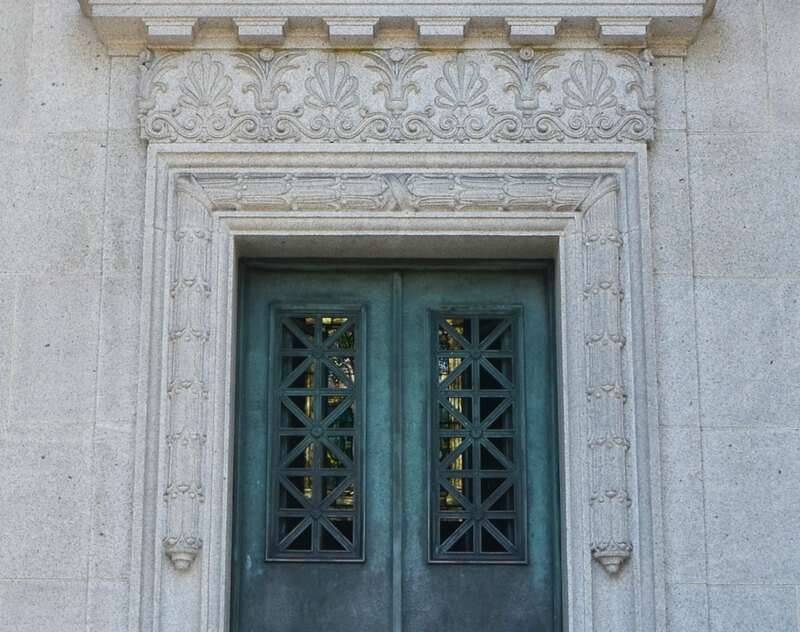 The following is a sample of the architecture of the mausoleums that I have seen there (including the doors of course). 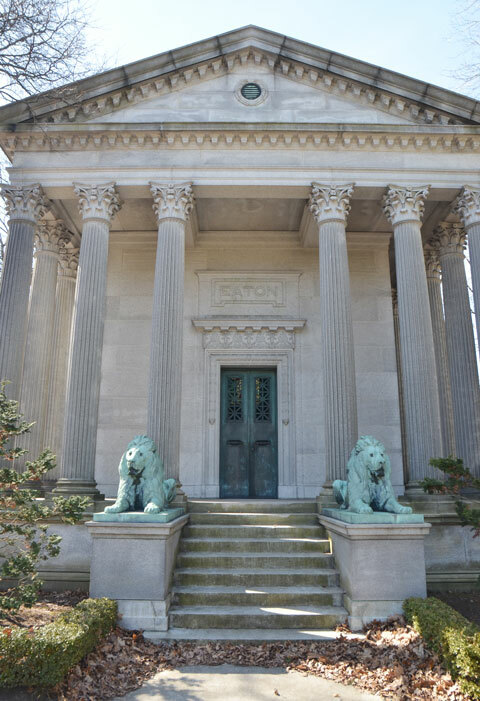 below: The Eaton family mausoleum with its corinthian columns. Timothy Eaton is buried here, the founder of the Eatons department store chain (that no longer exists). Timothy apprenticed to a merchant in Ireland before emigrating to Canada. After working in a number of stores in Ontario, he purchased a business at the SW corner of Yonge & Queen. His store was one of the first to sell goods at a fixed price and only for cash…. no bargaining and no credit. below: The Cox family mausoleum which was built in 1905. Sixteen people are buried here including George Albertus Cox (1840-1914) a business man and Senator, his two wives Margaret (d. 1905) and Amy (d. 1915) and their six children. The building was designed by Sproat & Rolph who were the same architects that designed the Canada Life Building and the Royal York Hotel. It cost $50,000 to build. 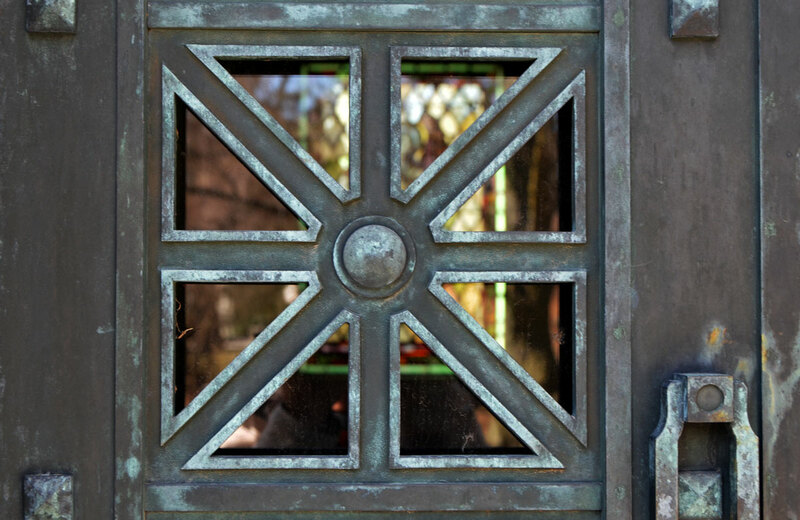 below: Detail of the flower motif on the windows of the door above. 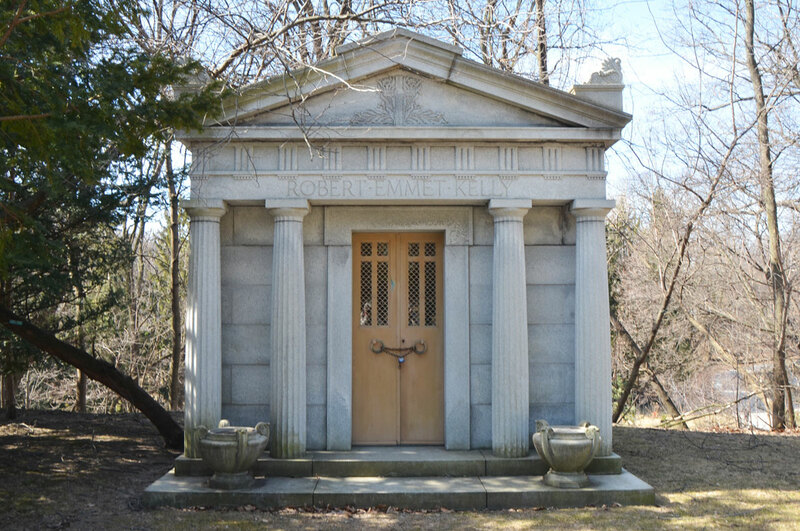 below: Robert Emmet Kelly died in 1915 while on his honeymoon in Atlantic City. His wife Bessie had this monument built in his honour. She was buried there when she died in 1964, 50 years after her husband. below: Last, but not least, the Just sisters. 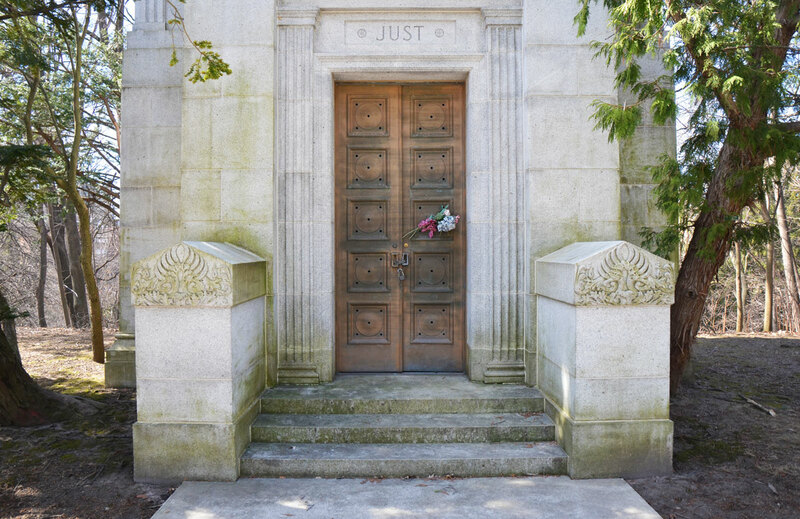 This mausoleum was originally built for Sir Frank Baillie who died in 1921. 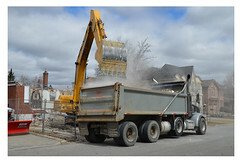 His remains were moved to Oakville in the 1960’s and the building sat empty for a few years. It was purchased by the Just family and now Gloria Irene Just (d. 1977) and Gladys Irene Just (d. 1970) are interned here. They were daughters of Thomas Fullerton Just, a mining equipment dealer from Quebec. 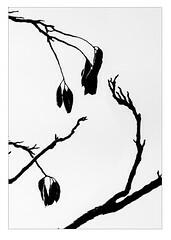 Someone has left flowers. If you are interested in doors, there are lots of blogs that feature door photos on Thursdays…. 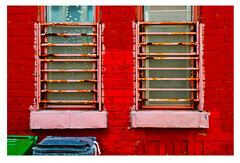 check out Thursday Doors organized by Norm 2.0 for more information. This post is a little late but shall we pretend that it’s still Thursday? A beautiful cemetery that is always a treasure to visit. 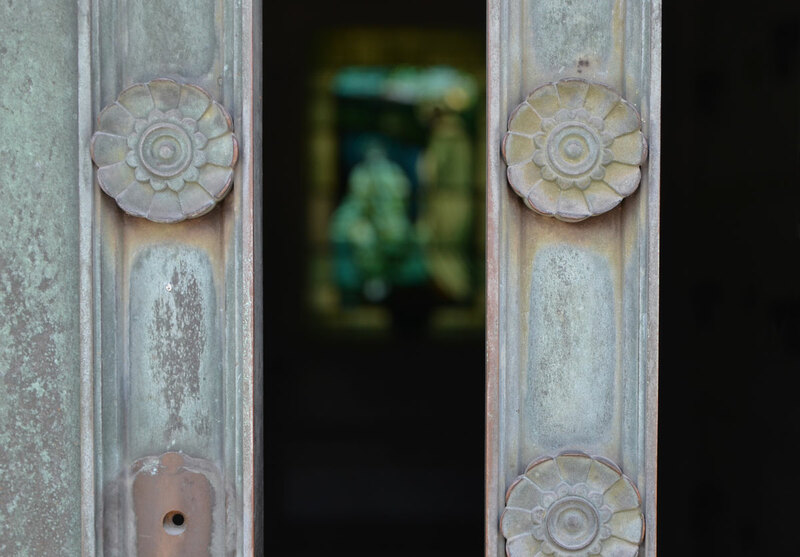 I love the mausoleums … they are works of art. A week of Saturdays coming up! 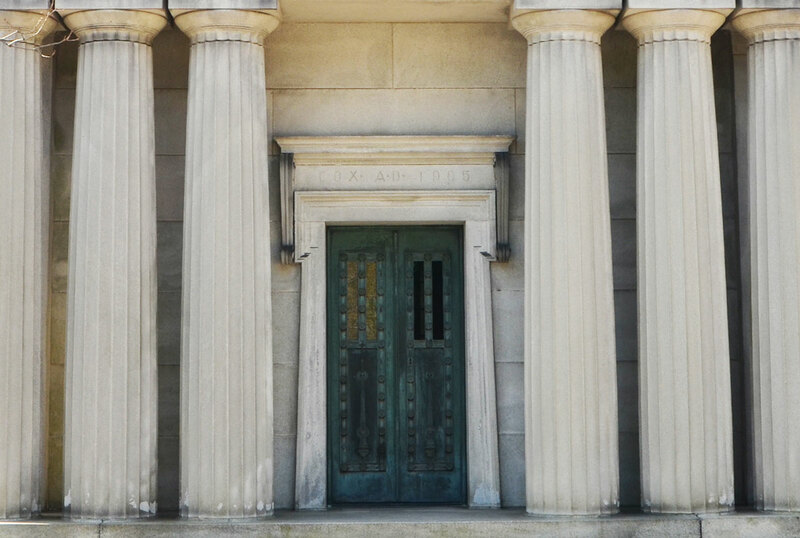 Very Interesting – I always love cemeteries and especially enjoy the architecture (and history) of the mausoleums. Not that you need to care, but the website link was incorrect, and I have corrected it with this comment now.